Waterfowl: Indian Runners, Khaki Campbells, Welsh Harlequin and Chilten. For Sale Free Range Duck and Hen Eggs. They are an extremely soft-feathered bird. They are a slightly larger bird. They are a superb layer – laying 340 cream eggs per year. They are a very docile bird and very suitable as pets. 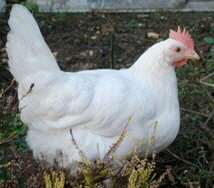 They are a beautiful shaped snow-white hen with a striking long white tail. They lay approximately 320 pure white eggs per year. They are often referred to as the “Little Ballerina”. They are a large yet elegant bird with a deep breast, upward pointing tail and pale legs. They are grey in colour with white speckles. They lay approximately 320 chestnut brown eggs per year, which are usually speckled. They are a very hardy bird. They are a very pretty black bird with a silvery white hackle and lace. They lay approximately 300 brown eggs per year. They are a very placid bird. They are a beautiful attractive bird with plumage varying in colour from blue to grey. They have a grey/black hackle. They are a very friendly bird. They are predominantly black with variable amounts of chestnut colouring around the hackle. They have a thick shiny plumage. They lay approximately 320 mid brown eggs per year. They are a very friendly bird and not easily stressed. Young guineas are called “keets”. Guineas hate to be left alone so are better off in pairs or even more. They are excellent flyers and can fly almost vertically. A wing can be clipped to stop them flying. They are great for removing bugs from the garden and are well known for keeping away rats. They are always alert and very watchful and get used to their owners and family. They will start to become very vocal if something unusual is happening so make good watchdogs. They are very active with a sturdy and upright posture. They are a medium sized brown duck that make a wonderful farm or backyard duck. They are extremely hardy and are at home on land as well as water. They are known for their prolific egg laying capabilities, laying approximately 300 white eggs per year. They are a snow white duck. 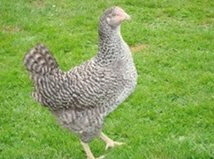 They are specially bred for laying, laying 350 eggs approximately per year. They lay a slightly off white tinted egg. The ducklings are very fast growers and are easy reared.